The island is full of noises, sounds, and sweet airs that give delight and hurt not. Co-produced with Gamelan Sekar Jaya, A (Balinese) Tempest is an adaptation of Shakespeare's most musical and magical play. It is about a sorcerer and dethroned Milanese duke, Prospero, who has been banished with his daughter, Miranda, to an enchanted island, where he is served by the spirit Ariel and servant-monster Caliban. One day, the men who had plotted to kill Prospero happen to sail near the island, giving Prospero the opportunity for revenge: he uses his powers to create a storm to shipwreck them to the island, where he has them cornered. But instead of killing them, he instead uses magic and festivities to teach his enemies a lesson, and forgive them. What could have gone the way of vengeance and escalating assassinations instead resolves with the freeing of servants, a marriage between opposing factions, and the renunciation of magic - an excessive, out-of-balance power for humans. 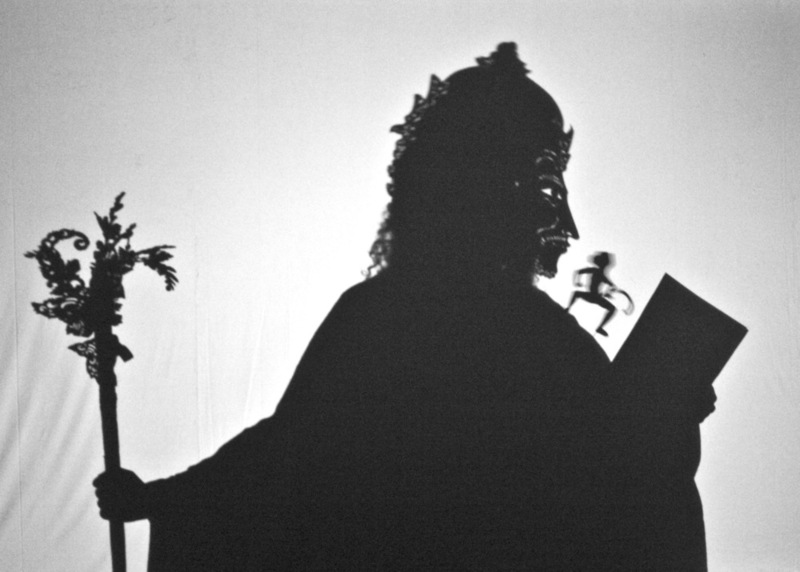 Set in shadows with live musical accompaniment from Gamelan Sekar Jaya using gamelan angklung, original compositions by I Made Terip from north Bali, Balinese vocals from I Nyoman Sumandhi, original puppets and sets from I Made Moja, the production fuses Balinese and Elizabethan theater. A (Balinese) Tempest premiered at the Cowell Theater in October 2005.